Do you want a clearer sense of direction and how to be the best that you can be? Once you’ve discovered your “Best DNA,” you are able to put more of your energy and time into what makes the most impact. Building on Best DNA can lead you to the greatest heights of professional and personal success. This makes life more fulfilling, improves your ability to lead others, and generally advances your career. Best DNA Assessment ignites passion and productivity by building on the best of who you are. Looking for a change in my career path, the Best DNA assessment gave me great tools to identify what is the correct mix between my passions and my strengths that could give me a competitive advantage in my professional life. It also worked as a road map, in the sense that it gave me insights on setting achievable goals that will eventually help me land my dream job—one that combines my experience, passions and strengths. As a former graduate student of Bob Faw, I took the Best DNA assessment program and it helped me tremendously to improve my professional performance by identifying my key traits and personal strengths. I discovered techniques to leverage my skills, as well as practical solutions to tackle hidden weaknesses. As a result of the program, I gained clarity and self-awareness that helped me to become a more focused person with enhanced confidence and determination, which has been useful in both personal and professional areas of life.  Learn more about the Best DNA Assessment!